A veil covers, hides, obscures, separates. The veil spoken of in the O.T. was not a flimsy, sheer veil, but a very heavy curtain. It was one curtain, not two halves. 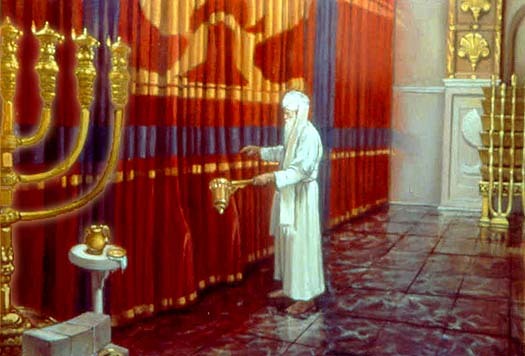 The High Priest would have had to push it to one side to enter the Holy of Holies, once a year on the Day of Atonement. 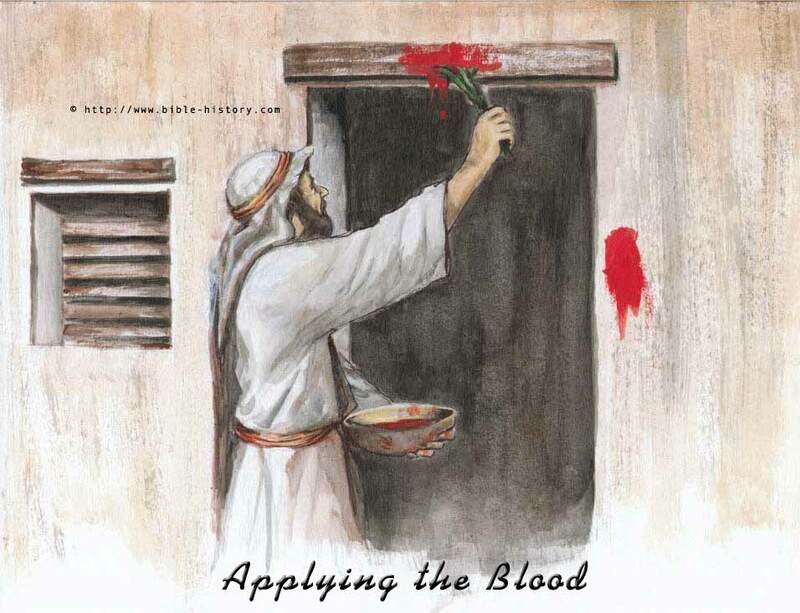 Because he could not be certain that God would accept the offering of blood on the Day of Atonement, he would have a rope secured around his ankle. That way, if God didn’t accept the offering, and instead struck the High Priest dead, no one would have to go in to collect his body and possibly suffer the same fate. The rope would allow them to drag his body out. This rope was not actually prescribed by God, but it showed they feared God and knew they were required to do things His way. God’s presence. He must be approached His way, in the manner He has prescribed. He must be approached with blood, to remind us that sin equals death. back the veil slightly, to allow the disciples a glimpse of the glory of the One Whom they followed. (Luke 9:28-36). Because Jesus looked like an ordinary Jewish man, there was nothing in his appearance to make him stand out. (Isaiah 53:2). He did not have a halo of light around His head; not in the stable, not in the garden, not on the cross. In fact, when they came to arrest him in Gethsemane, they had to have a pre-arranged sign (Judas’ kiss) in order to recognize him. The Jews read the Old Testament and yet they don’t see what we see. We see Christ throughout Scripture. They don’t. Paul says the reason is that they have a veil over their heart. That veil is unbelief. When the veil is taken away, they see that Jesus is the long-awaited Messiah. Christ is like the veil that separated the Holy Place from the Holy of Holies, in the Tabernacle and Temple. His glory was veiled, or covered in a body made of flesh. When that flesh was torn on the cross, He provided a way to end our estrangement with God, and be reconciled to Him. While He was on the cross, the veil in the temple was torn in two, from top to bottom, and a way was made to approach God. We can approach without fear of death! We don’t need ropes around our feet, just in case He won’t accept us. We are welcomed into His presence. I like to think that tearing the veil in the temple would have given God the Father some satisfaction, much like Jesus’ victory cry on the cross, “Finished!” God tore up the record of offences against us; the sins that separated us were no longer a threat. The debt was paid in full. If you’ve ever burned a copy of your mortgage when it’s paid off, you get the idea. Since the veil was torn from top to bottom, this signified that it was done by God, not man. He, Himself provided the solution to our problem. Questions- Put yourself on the mount of transfiguration. How awesome would that have been? You’d think the disciples would never doubt again. Yet such are our hearts, that we would’ve deserted Jesus in the garden, too. How do you feel about the fact that most Jews do not recognize Jesus as the Messiah? Response- Research some ministries to Jews. Pray that God will lift the veil from their eyes to see the glory of God in the face of Jesus Christ.